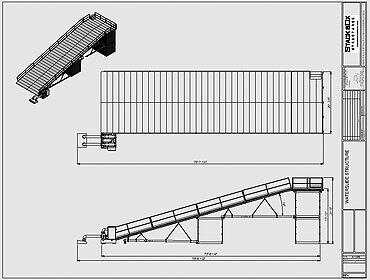 The River Flume was a custom creation for NYC Park & Recreation’s annual outdoor sports festival called Adventures NYC. Like sledding in the winter – tubing on a giant water slide brings kids and families out by the thousands. 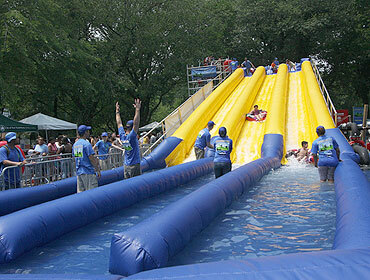 The River Flume was an instant hit at the Adventure NYC event. The River Flume became team event with the staff from NYC Parks helping the kids and family in and out of the River Flume including the Parks Commissioner Adrienne Benepe jumping in the water.